Easyfix is used for securing fixing glazing panels onto existing windows to improve heat and/or sound insulation. Easyfix can be used for 2mm, 3mm, 4mm, 6mm thick glazing. Easyfix can be used with Plate Polycarbonate, Acrylic or Glass glazing panels. 5m, 15M or 30m of flexible edging strip. Clear, Brown or White edging. Clips (and screws) to secure the edged glazing panel in position. Fitting instructions. Allow the secondary glazing panel to overlap the frame by 10mm on each edge. It is important that there is a flat surface all the way round to ensure a good fit. Please ensure that all window furniture e.g. handles, stays, etc. fit within the recess. 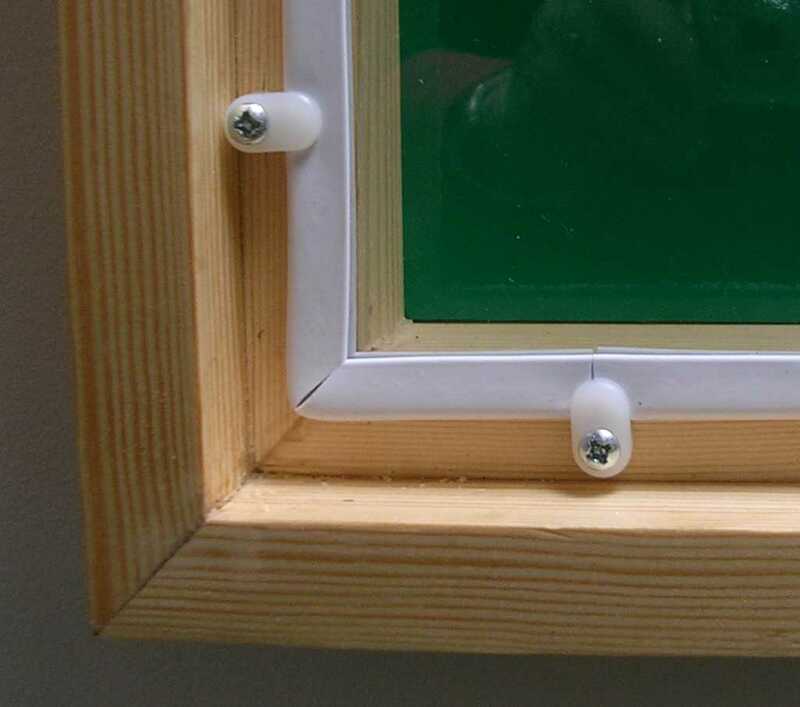 Allow enough space around the outside of the secondary glazing panels for the clips (10mm). As well as Secondary Glazing Fittings • Easyfix Edging Omega Build supply a range of roofing components such as roof lanterns, roof domes, diy conservatory roof kits, polycarbonate roofing sheets, polycarbonate canopy kits, door canopy kits and much more. I would recommend your affordable products (Secondary Glazing Fittings | Easyfix Edging) to anyone else considering this product, as it has been superb. Omega Build Shop | Secondary Glazing Fittings | Easyfix Edging. You are viewing Secondary Glazing Fittings | Easyfix Edging, buy online today!